Truly a masterpiece by one of the most prolific sci-fi/fantasy writers of our time. Tanith Lee outdoes herself with every page. Whether you are a fan of hers already, or have never even heard of her...all fans of dark fantasy and science fiction will enjoy the blood-red rubies that are these short stories. A good copy of this book is difficult to find, but if you do manage to get your hands on one...consider yourself one of the blessed, for you are about to enter dream worlds of dark fascination and curious light. 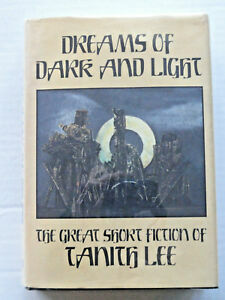 If it be the first time, or you are revisiting Tanith Lee's web of wonders, you will be glad for the journey.